Switching your current account is easier than ever before, thanks to the introduction of the Current Account Switching Service. But, what’s in it for you? Quite a few banks are offering you cash if you switch, and the amount differs depending on the bank you choose. We’ve taken a look at the deals being offered right now, as well as what the thousands of reviewers over at Smart Money People think of each account, to help you make your decision if you do decide to switch. Consistently at the top of our reviewers’ league tables, First Direct are offering £100 if you open a 1st account with them for the first time and pay in at least £1,000 within three months of opening it. If you’re not happy with your new bank after six months, and you’ve paid in at least £1,000 per month since switching, they’ll offer you a ‘leaving present’ of £100. That’s £200 you could get for moving, but only if you then switch again before the end of your first 12 months. First Direct reviews tell us that most customers don’t leave First Direct! With reviews that top the table across categories like customer service and value for money, First direct reviewers are a pretty happy bunch! Halifax are giving £100 to new customers who switch to their Reward or Ultimate Reward accounts. With the Reward account, if you pay in a minimum of £750 each month – and maintain at least two direct debits – they’ll also pay you £5 each month for as long as you hold the account. That’s up to £160 in your first year, and £60 for each year you stay with them. Ultimate Reward customers who meet the same criteria have their £15 monthly account fee reduced by £5. If you decide to move to the bank before 31 January 2016, and your switch completes before 18 February, you’ll also be entered into their Switcher Prize Draw. There are 215 cash prizes to be won totalling £100,000, with the top prize being £50,000. The Reward account currently holds an 88% customer satisfaction rating among Smart Money People, while the paid-for Ultimate Reward account is at 89%. More people have switched to Halifax than any other bank since the Current Account Switching Service was launched, with 29% of consumers nationwide choosing Halifax. M&S are using their stores to their advantage and offering switchers a £100 M&S gift card if they move. Unlike the offers above you do not have to pay in a minimum amount or set up any Direct Debits to be eligible. Among Smart Money People the M&S current account has an impressive 91% overall satisfaction rating. The Co-op are doing something slightly different with their switching deal: not only will they give you £100 to switch, but they’ll also donate £25 to your choice of one of seven charities. They’re supporting Action Aid, Amnesty International, the Carers Trust, Hospice UK, Oxfam, WaterAid, and the Woodland Trust. If you don’t – or can’t – choose between them, they’ll split the £25 between them all. Again this is subject to terms – you have to pay in at least £800 within 31 days of switching and pay out at least two Direct Debits – but it’s a good option if you also want to do some good with your switch. The Co-operative Bank Current Account is ranked fifth overall according to Smart Money People reviewers, with a 90% overall customer satisfaction rating. Yorkshire Bank is leading the way when it comes to a joining bonus. They’re offering £150 to eligible customers who move before the end of November 2015 providing you pay in £1,000 each month and maintain two Direct Debits until they pay your incentive (within 70 days of the switch completing). Overall customer satisfaction among Smart Money People reviewers is 74%, a little below the other banks highlighted above. All of the offers above only apply if you use the Current Account Switching Service, which is administered by BACS and launched in September 2013 with the intention of making switching accounts easier and quicker than ever before. You can set your own date for the switch, and all of your Direct Debits and standing orders will be moved over for you – they’ll also ensure any payments accidentally made to your old account will be redirected for the following three years. If you decide to switch remember to come to Smart Money People and tell us about how you got on. 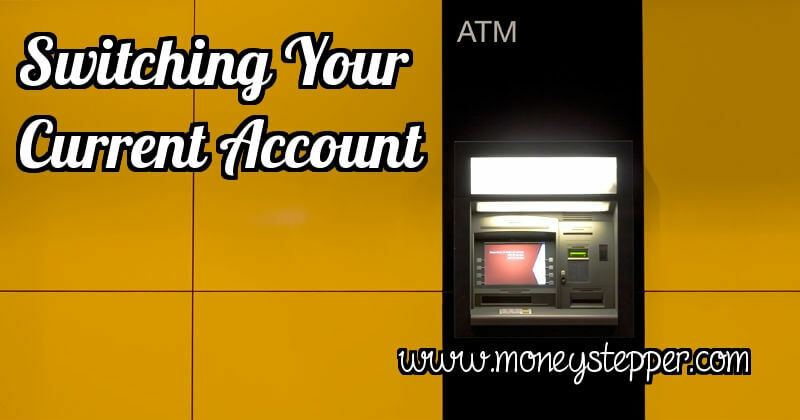 Switching accounts can be really a great tool to earn some cash backs, earn higher interest rates and get other favourable terms. I would prefer rewards over other perks offered by any current account. Nice research by the way. I still find it difficult to accurately appraise current accounts that offer up front rewards, versus those that offer cash back on transactions and competitive interest (such as santanders 123 account) which give a healthy return over the long run. Is there an easy way to figure out what’s best for me? It’s a good question and like most things in personal finance, the answer comes with getting the calculator (or Excel) out and running the numbers. The best solution will depend on your average balance, your average spend from the account, how the account is used for standing orders and direct debits. Very often the best result in today’s low interest rate environments are the offers where you are paid to switch accounts. However, for this to be the best in the long-term, you have to be willing to do it on a regular basis (annually being the most common).